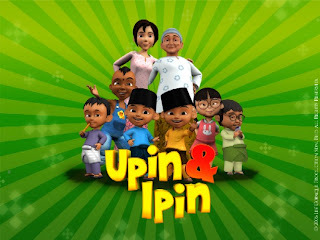 Last weekend, I got a copy of an animation titled Upin & Ipin, a story about a 5 year-old twins telling about their first experience of fasting in the month of Ramdhan. It’s a Malay-speaking animation with English sub-titles. I was so attached to it and I can’t stop watching it over and over again till I could memorize most of their conversations. After I read the news about the production company winning many awards, I mumble to myself, they deserve!! I can’t wait to see the animation film” GENG : THE ADVENTURE BEGINS” which is said to be released in this year. i have same fondness for cartoons. I will watch it when i am free. nice blog u have btw..